Along with its ballerina-like dance partners (the Audrey Pendant, Nacchera Table Lamp and the Nacchera Floor Lamp), this most simple of forms for the Veil Wall Light by Heathfield & Co shares the same soft elegant qualities of the other in the Pearl range. 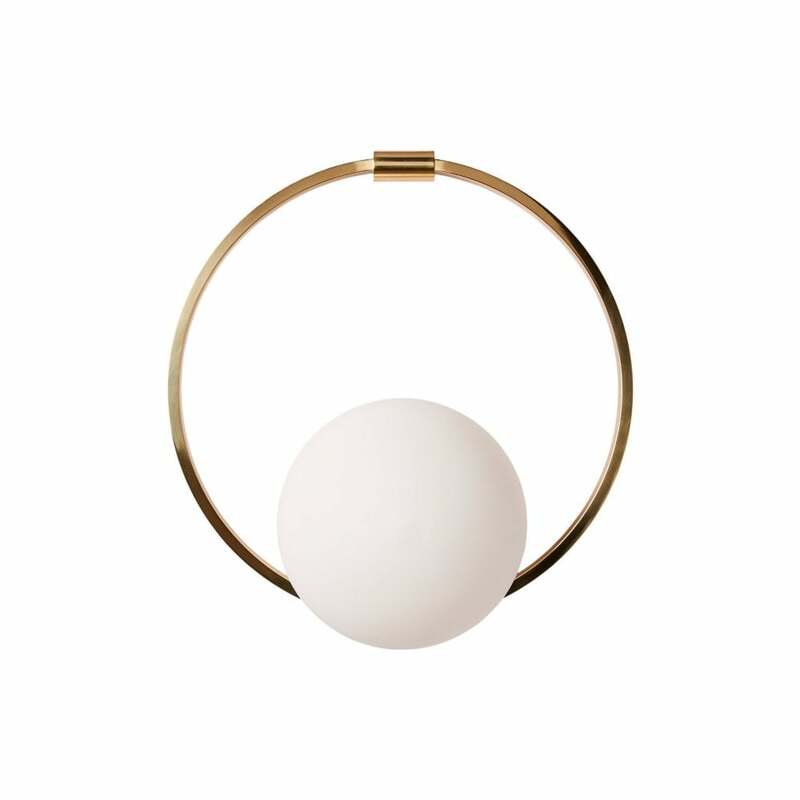 The soft glass hemisphere opaque light is ‘suspended’ at the lower section of a satin brass ring as if a delicate ballerina is poised on a hoop. The piece is inspired by 1930’s forms, materials and symmetry. The concentric circles are contrasted by the soft white of the orb and the satin clean brass outer ring.